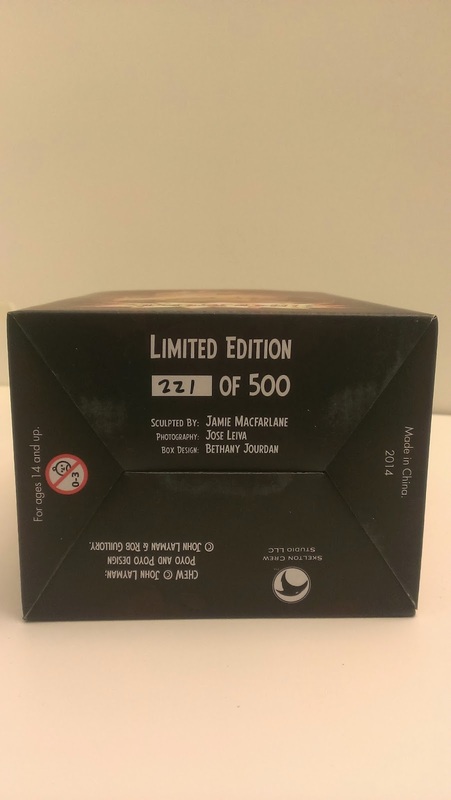 We are huge fans of Image Comics Chew comic series from creators John Layman and Rob Guillory. 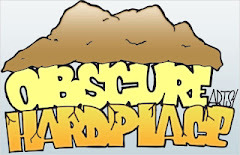 The series is in its 42nd issue and continues to get better and is coming closer to its end at 60 issues. This year has been amazing for Chew fans with the news of learning there will be an animated series featuring Steven Yeun (Glenn from The Walking Dead) who will play the voice of Tony Chu and Felicia Day (The Guild) who will play Amelia Mintz. 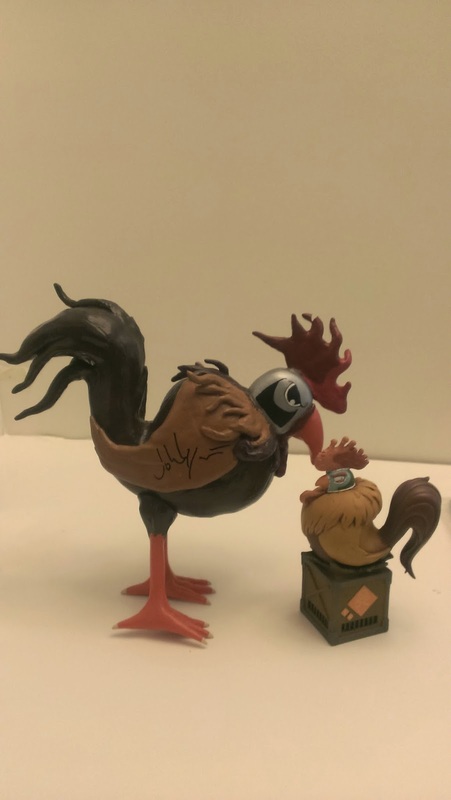 Along with this terrific news, the Chew fans have also been fortunate to pick up great merchandise and collectibles from Skelton Crew Studio who have created Chog vinyl figures, a cool Chew Apron, soon to be Plush Chogs, and the recent Poyo Mini Bust. 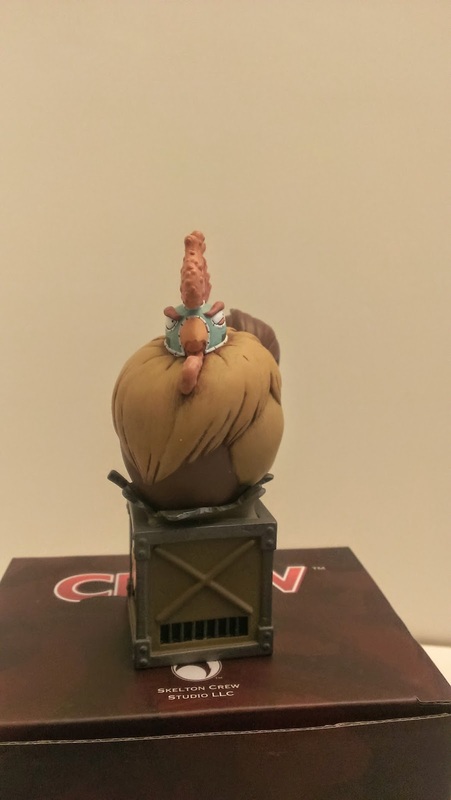 We just received the Poyo Mini Bust and all I can say is that it is Awesome!! 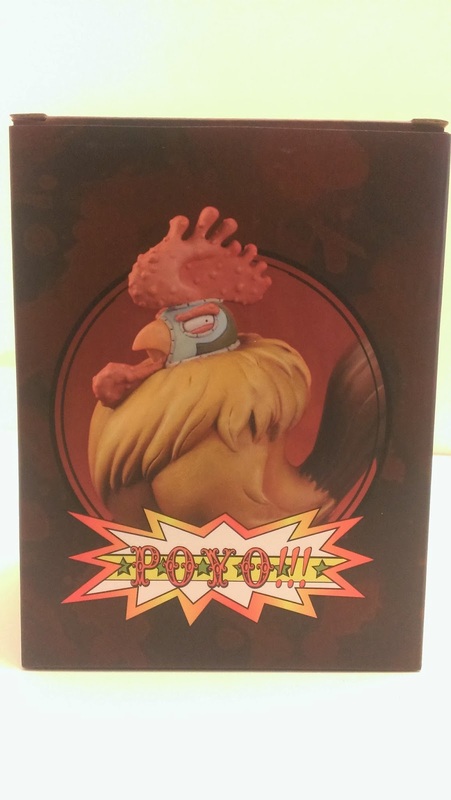 The Poyo Mini Bust is great, which features Poyo all around the box. 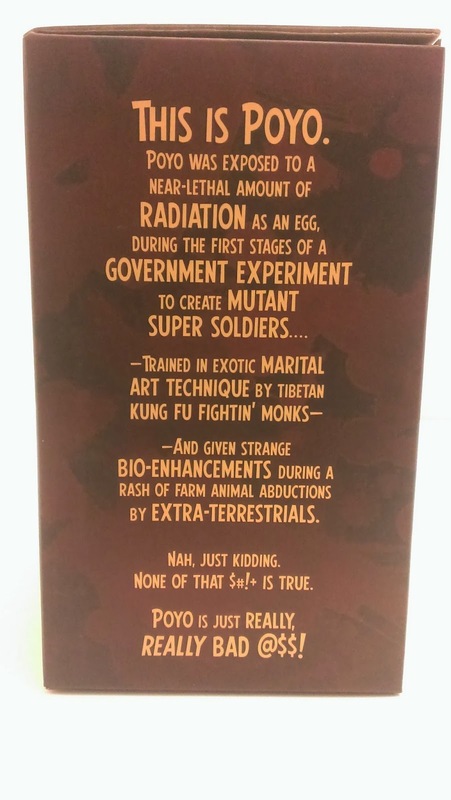 Who is Poyo? We get a great description of where he came from and who he is. 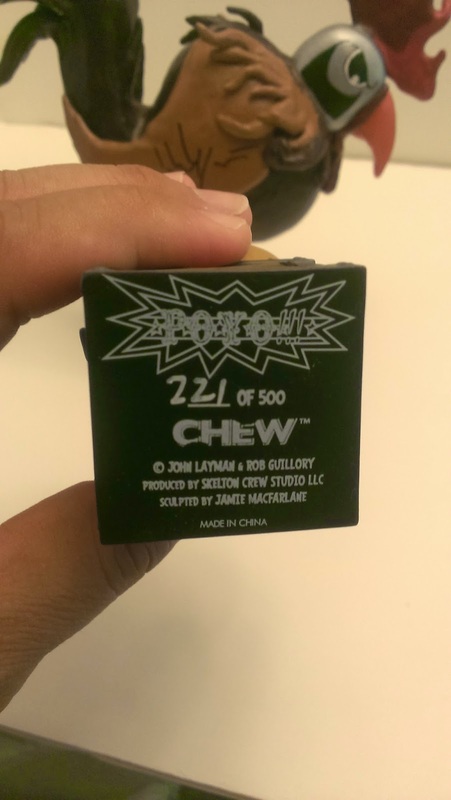 This is the great humor we should expect from Chew creator John Layman. 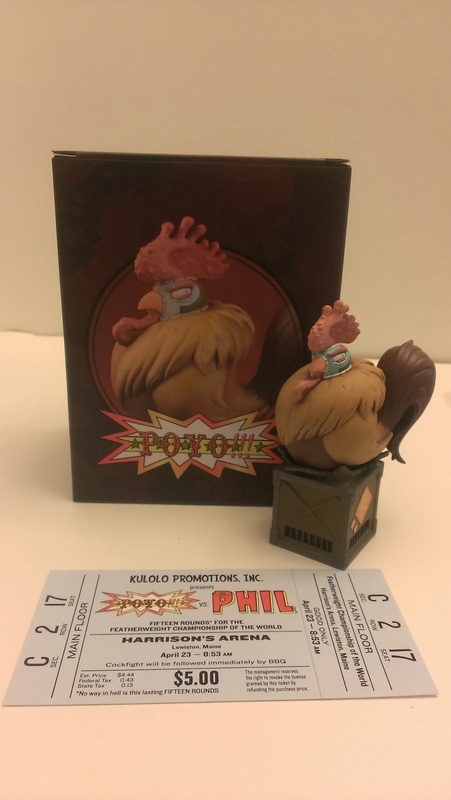 The Poyo Mini Bust was limited to only 500 pieces and now sold out. 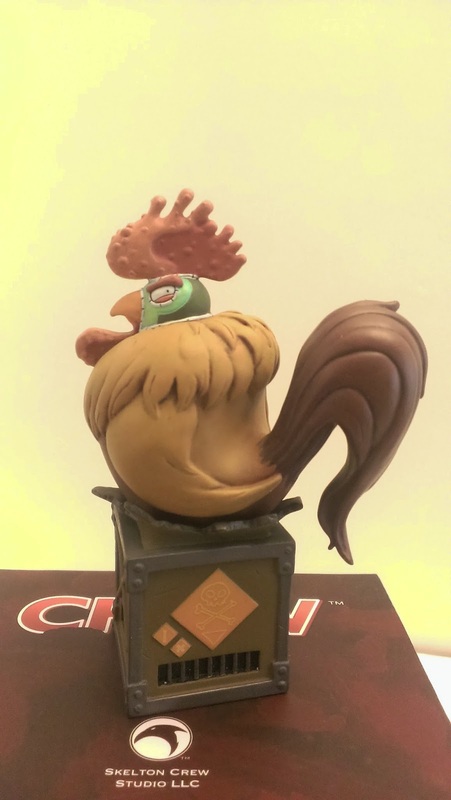 The Poyo Mini Bust stands 4.75" tall from the base to top of his "Rooster Crown". Poyo is bursting out of his cage and showing us his great pose of showing his power and toughness. 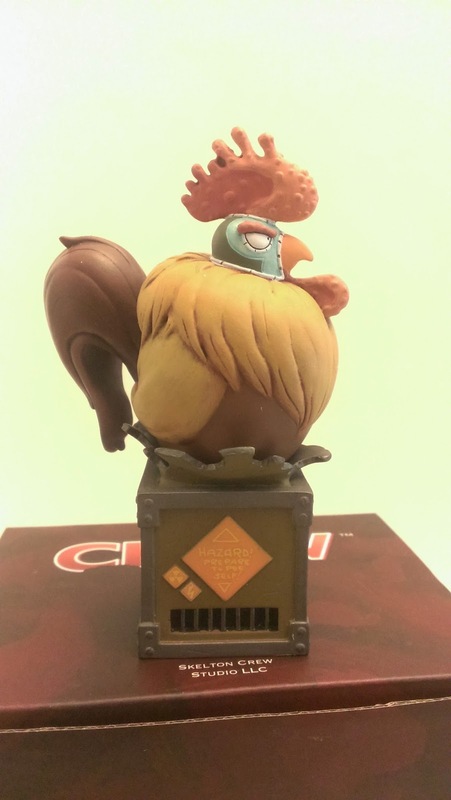 The bust is made out of resin and the paint is terrific showing us Poyo's colors we see in the comic series. The details are what we hoped for in Poyo from his feathers to his crown. 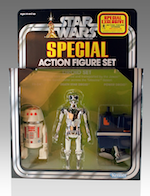 The crate he bursts out is pretty hilarious in what it says. On one side, it states, "Hazard! Be Prepared to Pee Self". 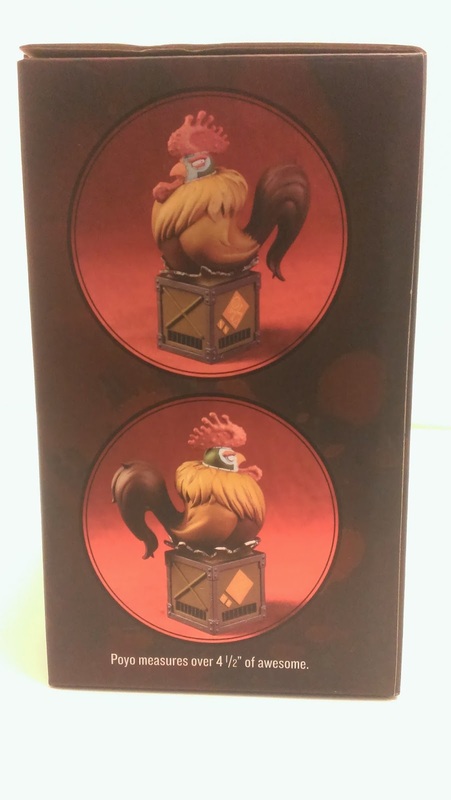 The Poyo Mini Bust is limited to only 500 pieces, and we happened to have 221/500. 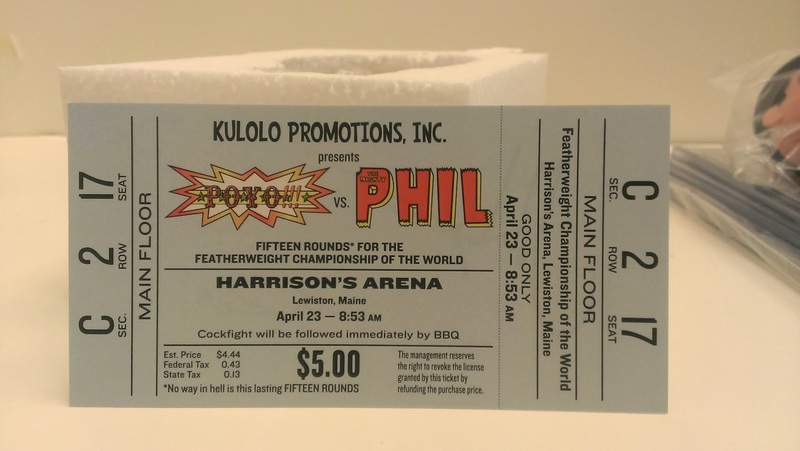 The Poyo Mini Bust not only included Poyo, but an added bonus of a very cool ticket recreating one of Poyo's fights. 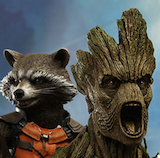 The ticket is a lot of fun because they made it so life like. 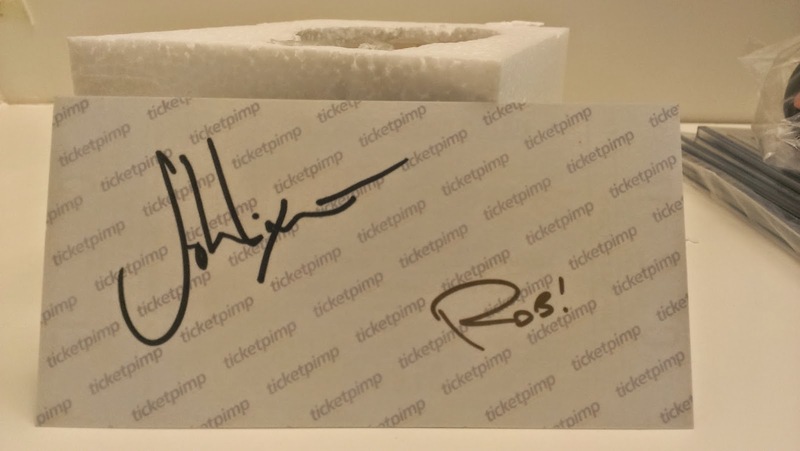 On the backside of the ticket, it was signed by Chew creators John Layman and Rob Guillory. The humor continues on the back side of the ticket where it says "Ticketpimp". 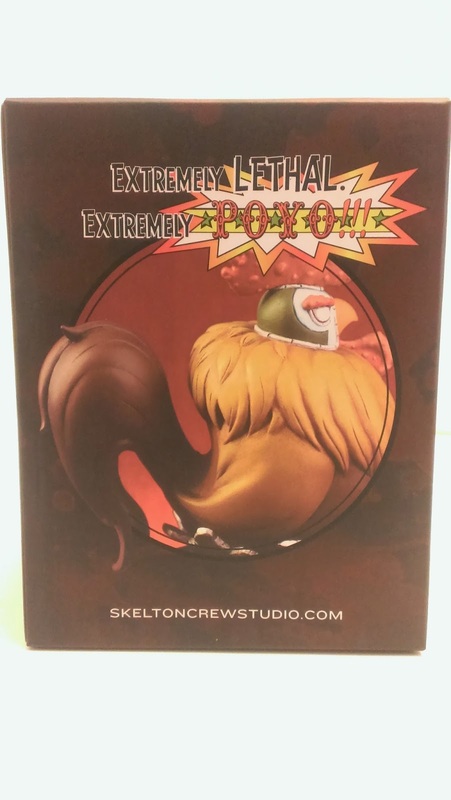 Overall, Skelton Crew Studio has created another masterpiece in the Poyo Mini Bust from the packaging, details, paint, to the signed ticket. 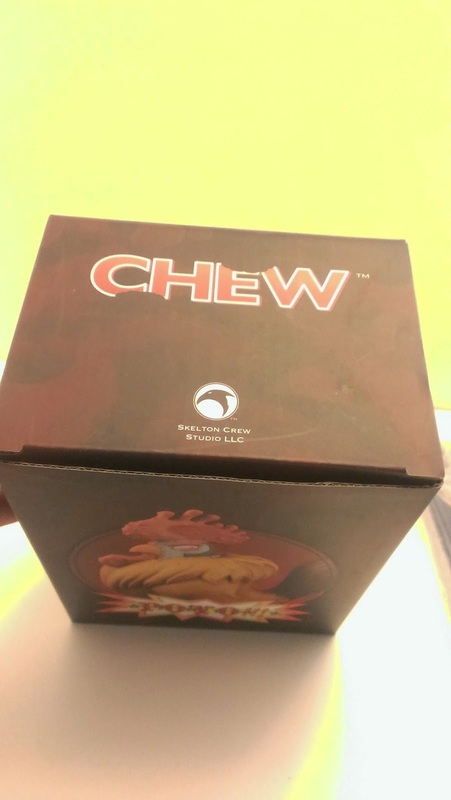 Chew fans should be very pleased to add this to their collections because we definitely are. 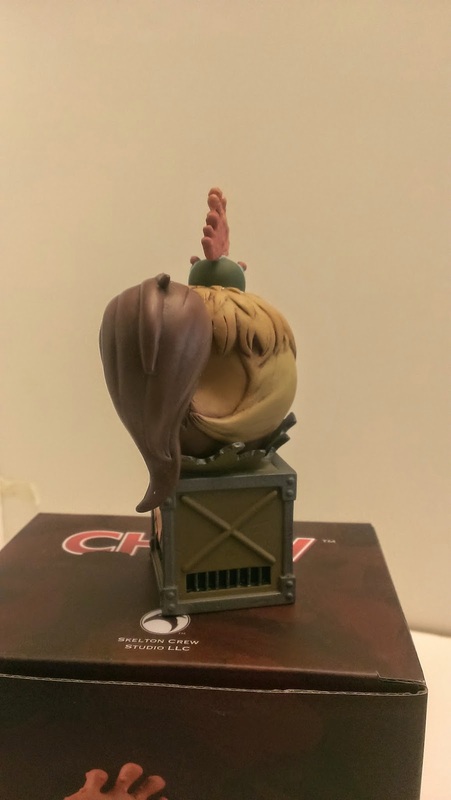 We can now place our Poyo Mini Bust with our Poyo custom statue created by Angry Koala Gear's Obscure.